Small Cabin Forum / Off-Grid Living / What do you use for your of the grid toilet? I'm just wondering what some of you are using for this unmentionable, but important part of off the grid living. This has worked so well for me that I built another one this winter for nighttime use and we actually keep it inside the cabin. What a great idea! This is worth a 2nd look for my cabin. 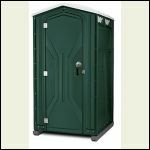 Right now we have the state-mandated outhouse (into which I put the lime-aide) and a Thetford porta-potti for indoor use. I couldn't believe my luck to find a practically brand new one for $30 at a garage sale and I just couldn't pass on it (pardon the pun). Thank you for the link to The Humanure Handbook. I'd heard of it... but am running out of money to buy books with! I bookmarked it so I can go back & read later. We'll be living in a camper when we get to Colorado... and will have to have some kind of toilet (other than the camper - because we'd like to leave it parked!)... and I thought the Humanure system would be perfect for our needs... temporarily. Anyone have experience with composting toilet? It's a bit expensive, but it's the design I'm interested in. I've acquired an old airplane toilet (the kind with the trap door) and I'm going to attempt to build something similar to this composting toilet with some modifications I've learned from using the sawdust toilet. I have an off the grid 24 x 24 cabin east of Lake Superior on a river. I have utilized a very similar solar system and water system to our web site host. I do have an outhouse, but we sprung for a Sunmar Non electric compost toilet and are very happy with it. But we respect its limitations. It does not truly compost when temperatures outside are getting below 12 degrees celcius and there is no one there to turn it over and add any extra microbes. So half of the year it is really just a holding tank and we try to use outhouse on those weekends. It can still evaporate liquids if you do not overwhelm it. (just use at night) It is not a major chore nor is it smelly to dump the compost tray in bush. The toilet is vented thru roof so no problems there either for smells. A mix of Sunmar peat moss with 50% pine wood shavings like you get from pet stores in big bag is what we use . Sunmar peat moss is expensive but is virgin no bugs. We tried using garden peatmoss but it breeds flies . it was $1200 well spent you can install in 4 or 5 hours. Scroll about half way down and you will see the pictures of the screen meshed hole in the ground with the wood runners. This a great way to compost without having to handle the material. We are going to use this on our mountain property with a plastic bucket inside for nighttime and bad weather. Wow that is fantastic! Although building and living in a small cabin has been a lifetime dream of mine, I am just now starting to do real research to make my dream a reality. I have read about the sawdust toilet system, but your information takes it way beyond anything else I have read. Thank you so much for sharing this information, and detailing your progress. It was VERY helpful, and I am sure I will be referring back to it as I get to that stage of planning. ...heres the American link for staying here but doing a survey - I'ts a verrrrry good way to scout BOL's and brothers/sisters to community with... peace to y'all! all we have gotten to do so far is...get a 5 gallon bucket and strap a toilet seat on the bucket with bungy cords.then every time u poo-toss some dirt on top.cabingal3. I dug a hole with the back hoe and threw a small plywood deck over it. On the deck is a plywood box with a toilet seat on it. In NM it is so dry every thing dehyrates in no time. There is no smell and no fly problems. There are no wall or roof, just a well place pinion pine blocking the view from the cabin. It was built with scrap material, except the seat which was gift from my bro in law. 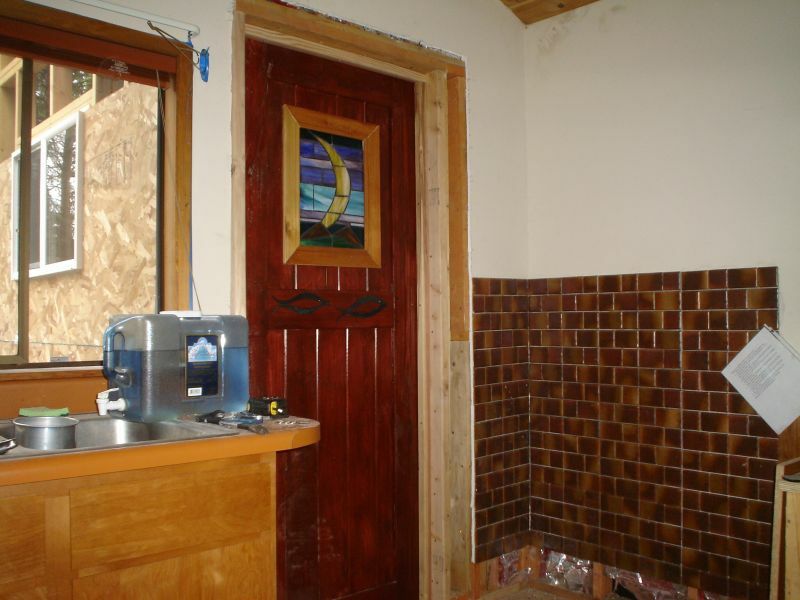 I use a solar composting toilet of my own design. Composter sits outside and I use a good porta potty with large tank emptied once a week or you could use sawdust and 5 gallon bucket toilet. 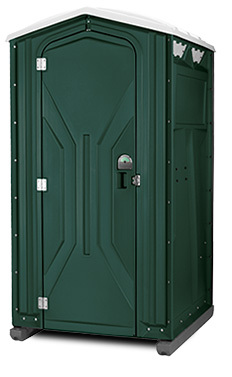 Commercial composting toilets fail for two reasons: to cold and too wet. By using solar composter I can keep microbes at above 50 degrees so they continue to work even in winter and solar heats the compost to evaporate excess moisture leaving a minuscule amount of compost when finished. We have purchased some property in Chaffe County Colorado. 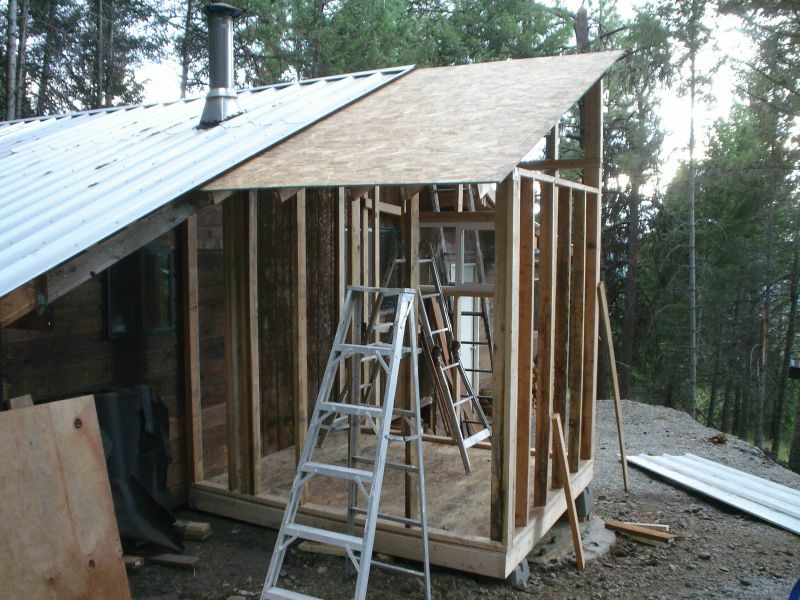 With intentions of trying to build a small cabin...All we hear is good luck,, got to have a permit to fart..
Can one even legaly build an outhouse in Colorado? any one know. I like those composting toilets..
we have been using a PET (Phillips Environmental Toilet) we have used it camping for soime time in areas were it is "required" BLM laws River areas etc. The waste bag can be dropped in the regular trash...just last week I brought it inside the cabin while I was making coffee, to let it warm up a bit, then put it back outside later...since it has not cover material or "blue chemical" it is a little stinky inside. Our long term plan is to use the sawdust composter...but for now just few days at a time it works great. I use a composting toilet from Nature's Head. It is 1/2 the price of similar brands and the company is fabulous to work with. It runs off a 12V battery or solar vent. I have it inside the cabin and not even the most sensitive noses detect any odor. I ran out of time to build a shed, so I bought a privy tent from cabelas.com. It seems silly, but it was fast! I have only had it for one year, and it is on a property I do not live on, but I am very happy. Had 30 people camping over one weekend and it was a charm with no problems. The composting action is very rapid and I don't foresee any problems. I would have to say between the cost of the tent ($80) and the lumber, the screen and the toilet seat the cost was around $150. Thanks for the info, dvgchef. That Backcountry Sanitation Manual is quite infomative. I'm attaching it here in case the link disappears in the future. I put up an indoor out house. It is attached to the cabin with a door into the cabin. It has a RV toilet and a shower. For now it is all gravity feed with water containers.It sits over a cement tank. I can have it pumped just by lifting the toilet up and start pumping. The problem with standard composting toilets is in winter the temp drops below 50 degrees and micro organisms die or hibernate. I use a simple greenhouse structure with a vent pipe that keeps the compost pile much warmer and composts much faster than a traditional pile. It also evaporates off the excess moisture much faster so pile will not have run off or excess urea build up. I may pump it out to a portable holding tank. I will add some chemicals to break down and with evaporation from the vent stack, I may not have to empty it much or at all. I can also add a drain to a septic or to the typical hole in the ground. I'm headed over to my cabin for lots of interior work, and didnt have extra time to construct a outhouse, so this was my option. I like the marine style compost toilet that I used on a sailboat. It took some looking around to find it, but I did. I bet that meets all county codes ?? I may have to get me one of those, even if I dont use it. Last year we set up a sawdust composting toilet/outhouse. This year we are thinking of trying a tumbling composter technique to compsost the waste rather than a simple box style composter system mentioned in the article. We just have too much wildlife around that would get into the composter and likely make a mess. The system works fine in the summer time but single day visits it is not really worth while to set up the toilet. I was wondering how the various methods such as Nature's head would work in cold temperatures +15 c to -15c in an unheated cabin or outhouse. As mentioned in a post above it just becomes a holding tank. No composting would be going on and there would be freezing liquid problems. And there is no way a passive solar composting method would work at -20C and below which is our normal winter. while I am sure the Humanure method is effective and environmentally friendly, it seems labour intensive to me, and appears to be more geared for daily family use. 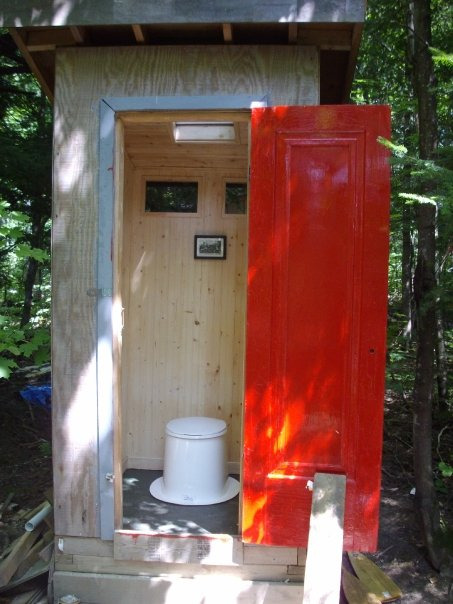 We are thinking of getting a self-contained composting toilet as our alternative to the outhouse so I did some research. I talked to a rep from Sun-Mar about their non-electric self-contained composting toilet in winter, and he confirmed that it is basically a holding tank in an un-heated dwelling in the winter, but in spite of this it is likely still suitable for light weekend use by one or two people, which may be just enough to meet your winter needs. I assume this is likely true for any brand of composting toilet. The materials can withstand extreme cold. You also need a bulking agent, if you do not want the proprietary one, you can make your own with 60% spagnum moss (from a garden centre) and 40% wood shavings (animal bedding from a pet store is one source). Perhaps this helps in your decision. For composting humanure consider a small wood chipper/shredder for your cabin. 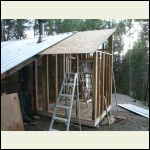 Besides being useful to mulch 1/2-3/4" trees and shrubs that invariably take over your cabin site you can utilize the chips for your composting toilet. Harbor Freight sells a 5.5 HP chipper that works great for small stuff. We just found a used composting toilet for a few hundred bux. Got it from a wonderful retired couple who moved to a farmhouse they inherited and where they just had a well and sceptic system installed. We're really looking forward to finding out if its gonna work for us. 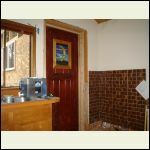 has anyone had experience with incinerating toilets like the ecojohn? i though about composting toilets but it would get a great deal of cold weather use so it probably wouldn't decompose well in the cold temps. any thoughts / coments would be useful. When I was doing research on toilets I came across a note saying incinerating toilets release a lot of fumes aka stench down wind during the burning process. Not sure if that is true or not or how intense said fumes are. Although visions of the scene from Apocalypse Now danced in my head of the lowly grunts burning of the half oil barrel contents from the latrines. On top of that incinerating toilets use electricity don't they? For off gridders electricity is sacred. Lady wife was reading in a plant book that aspen (the shavings are used for pet bedding etc... We are using them in our composting toilet now instead of kitty litter) have naturally occurring lye in them. This would help in the break down of things. Most systems other than the incinerating method are likely going to be essentially holding tanks during cold weather. Some composting outhouses we used in the mountains run a simple solar powered heating element into the "mix" to aid/extend the decomposition period through the year. We are trying sealed garbage cans with a small ventilation hole. We have them sitting in the sun. Each end of trip "deposit" from the composting toilet is put into the garbage can with some leaf litter. Everything froze over the winter of course but now things are quite active and appear to be disintegrating nicely (just like a garden compost pile) with the sun heating up the garbage can. So far no offensive smells at all. Thought I'd contribute to the outhouse stream. Attached is a photo of my "boreal biffie". Basic construction with a pressure treated 4x4 crib underneath. A fibreglas toilet cone purchased from http://www.farnorthfiberglass.com/cones.html makes it feel like you're using a real toilet. No fancy incineration or composting - just the old fashioned pit model. I have skylite in the outhouse. It was a miniature floor model used for promotion I purchased from my local building centre which no longer carried full sized models. Vintage postcard on the wall titled "Parry Sound Log Dump".